Hird taught sociology, evolution and formal logic. This meant that Hird was teaching sociology to his students, nearly 50 years before it was officially recognised by the University of Oxford. During these sessions he introduced his students to the work of Karl Marx, Charles Darwin, Herbert Spencer and Émile Durkheim. 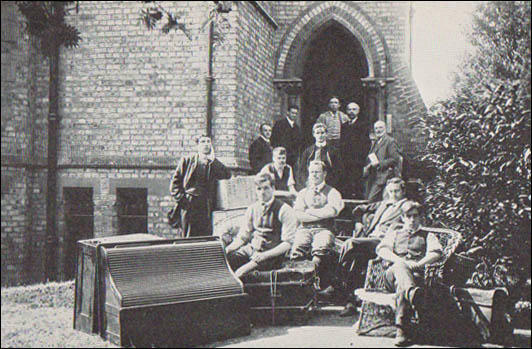 Members of the Industrial Unionist Group at Ruskin College. George Sims is top left. George Sims, a sergeant-major in a motor machine-gun unit serving on the Italian Front, was not demoblised until the summer of 1919. His great friend, Frank Horrabin, was not so lucky and he was severely wounded in the last Allied offensive of the war. first left on the bottom row. William Craik is in the middle of that row. George Sims died in 1943. I had tried for years to get a feeling of reality in religion, to feel that God and the Christ were of me and with me, the reality never came... But with the first reading of the Communist Manifesto, how the pamphlet appealed to something in me, some revolt against things as they are... We are neither fatalists, nor believers in miracles - simply people who know... the inevitability of social evolution, of development and progress based upon material needs as a stepping-stone to our higher selves. It would be impossible to exhaust the variety of starting points: witness George Sims, afterwards a carpenter and the original secretary of the Central Labour College, who began work at the age of eight and whetted his intellectual curiosity by reading The Times to the master of the Park Lane mansion in which he was a page. Irrespective of initial impulse, these individual intellectual odysseys were likely to share certain common features. Religion was usually important, if only because the Bible was one book which most had read, but more particularly because the question of religious belief preoccupied the late Victorians and a great many autodidacts came to base their education on the secular press and literature. 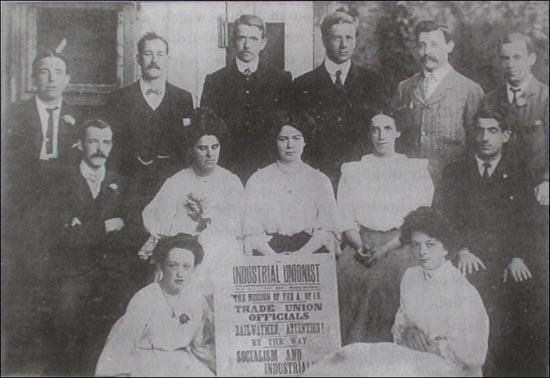 Coming to the College in January, 1908, to take up a two-year course of study there, George Sims brought with him a number of years of experience of active work in the trade union and socialist movement, mostly in Bermondsey. He attracted the attention of a well-known personality in that borough, Dr. Salter, a prominent figure on the London County Council and an active member of the Independent Labour Party. 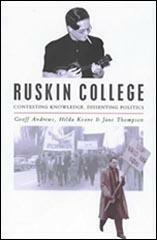 Although George Sims was a member of the Social Democratic Party, Dr. Salter was sufficiently interested in this local socialist carpenter to make him the generous offer of a two-year scholarship at Ruskin College, which Sims accepted. During his residence at Ruskin, Sims took a prominent part in the internal work and life of the students there. He had acquired enough knowledge of the theoretical works of Karl Marx to enable him to do a great deal to compensate for the almost complete ignorance of Marx's work shown by the Ruskin lecturer on political economy, by helping in the conduct of the classes run by the students themselves for the study of this very basic subject. 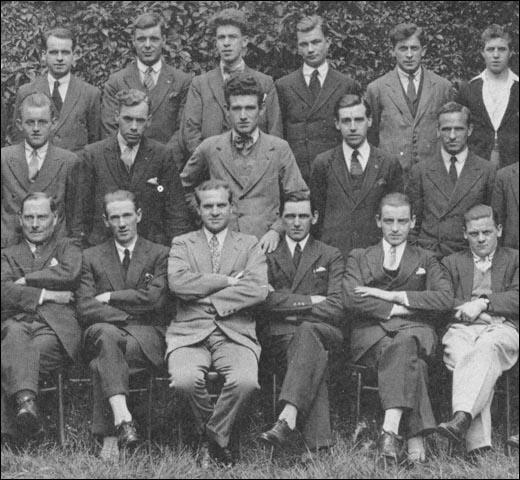 He soon became associated with those earlier students who were already expressing their increasing dissatisfaction with much of the education they were receiving at Ruskin, and with the resultant movement of unconcealed dissent at the efforts being made to bring the teaching there in educational accord with that of the University. When the Plebs League was set in motion to arrest this development, Sims became one of its most active leaders. As such, he was already marked down by Lees Smith and his friends for removal, just as Dennis Hird had been for his suspected authorship of the League, although actually that organisation was already an accomplished fact before Dennis Hird ever knew of it. It only needed Sims's role in the recent strike to seal his fate as far as further residence as a Ruskin student was concerned. The method of his disposal differed from that of Hird's going. Only after his back was turned and he was already on the enforced vacation, did the Secretary of the College, Bertram Wilson, on orders no doubt from his boss, write to Dr. Salter and induce him to discontinue his scholarship to George Sims. What Salter was told in this letter was, naturally, never disclosed. 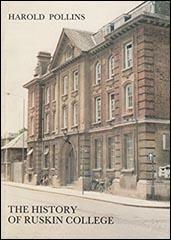 In any case it was the end of Sims as a student at Ruskin College. It marked, however, the beginning of years of active and very valuable service by him in the campaign that now immediately opened for the creation of the new Central Labour College, and in the subsequent development of that institution.